Yes, I admit that I read my reviews…even the bad ones. 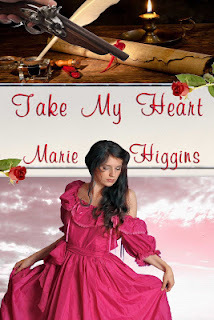 However, with “Take My Heart” I have only one 4-star review, and the rest are 5-stars. But with some of my other stories that have gotten poor reviews, I take into consideration that I cannot possibly please everyone (although I’d love to), and that maybe they were in a bad mood when they read my book. lol But I don’t let it depress me. I remember that I have more good reviews than bad ones, anyway. All my book covers are wonderful. I love them all. I think Sheri McGathy did a wonderful job on the Colonial series, especially – making them all look alike since they are in a series. But I think I would pick “Wonderland By Night”, mainly because of the purple color…and because I think the woman on the cover has amazing eyes. Yes, I do! The first romance book I read was “A Rose In Winter” by Kathleen Woodiwiss. I feel hook, line, and sinker for that wonderful story. After that I couldn’t get enough of her books. Once I was done reading her, I found other authors that I found enjoyable. To this day if you looked on my bookshelf, you’d know which authors I liked more than the others. And…you would definitely see more historical romances than the others. How many times were you turned down from a book offer before you finally got published? 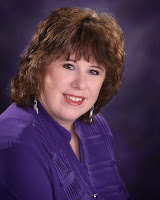 When I first started searching for publishers about ten years ago or so, I was going after the big publishers (Avon, Kensington, Random House, etc). I also had more than one book that I was shopping around. Within a year, I had over 50 rejection letters. After a couple more years passed – and a couple more books that I was trying to get published – I finally had a 3-inch binder stuffed full of rejection letters. That’s when I decided to try epublishers (this was back in 2005). I was offered a contract from the very first publisher I submitted to. And the rest…they say…is history. 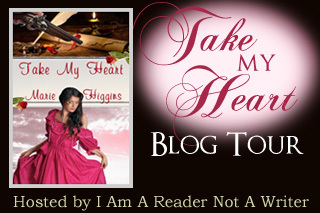 Can you share a teaser of TAKE MY HEART with our readers? Two strong arms circled Mercedes' waist and she looked up into the face of a soldier wearing a red coat; the symbol of those men serving England, her mother country. The white periwig covered his head, the queue held in place by a jaunty black ribbon. Instead of being relieved to see him, she worried he would believe she stole the apple – just as the others did. “Please sir, release me at once.” She squirmed, but to no avail. She gasped and stared at the man holding her. Mrs. Braxton? He thought she was her sister? But of course he would. She and Kat were identical twins. And…nobody knew Kat had died. As Mercedes opened her mouth to deny his comment, heavy footsteps rounded the corner. Panic gripped her, and she couldn’t breathe. They had come to take her away. Daring to peek over her shoulder, it surprised her to see the men’s expressions showed no anger. Instead of scowls aimed at her, their brows were creased, mouths pursed tightly as they glared at the soldier. Confusion filled her and she slowly shook her head, trying to understand what was happening. His rugged appearance shocked her, his strength evident in his lean arms and legs. Rather than the fancy clothes of the English gentry, the beige shirt and brown leather vest of a farmer’s attire stretched taut across his wide chest, and the black material of his trousers molded to his legs and fit snugly into his black knee-boots. But this man was no farmer. That much appeared evident by the way he carried himself as he strode toward her, his step too confident, too graceful. He was quite handsome, if she dared admit, and he literally made her lungs stop working. Never had that happened to her from just admiring a man. Looking into his fiery blue eyes, she swallowed hard. It would have to be the kissing scene! I love writing hero and heroine’s first kiss. Ahhh….so romantic. Cute cover!! Sounds like a drama filled read.